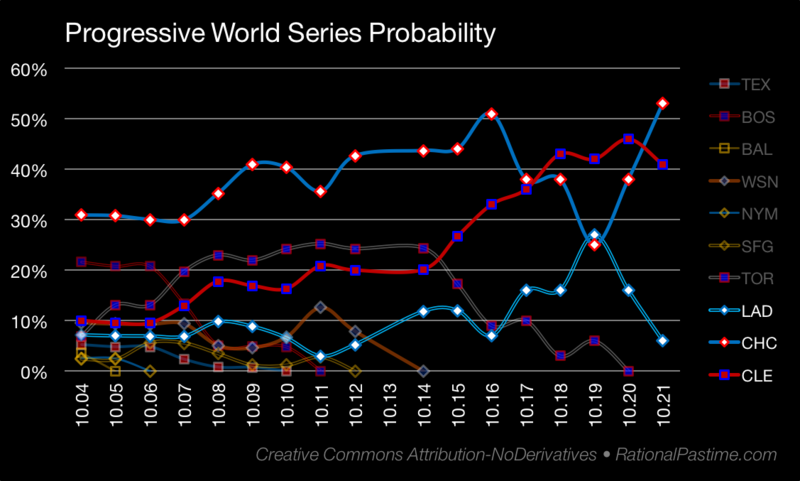 This post is one in a series about the 2016 MLB Playoffs and World Series. The Chicago Cubs have their first 3-2 lead in a Championship Series since their devastating defeat at the hands of the Florida Marlins in 2003. With that lead comes renewed status as World Series favorites, surpassing the Cleveland Indians, who have already advanced to the final round. 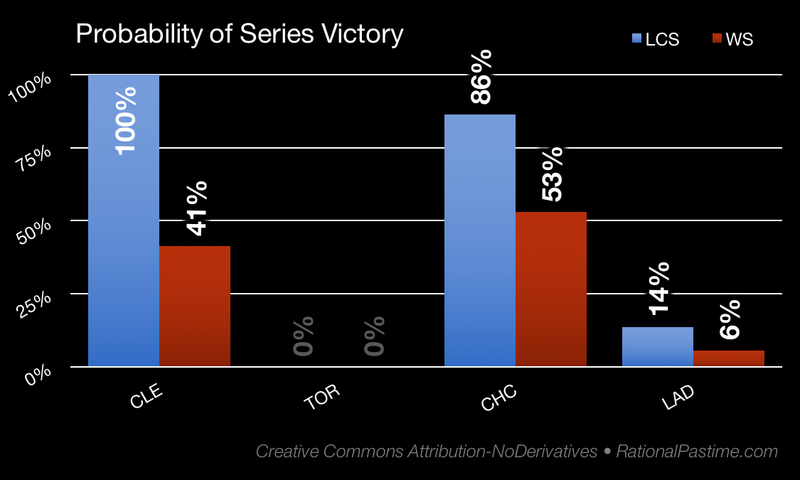 Chicago's championship expectancy is now 53%, tops of any team this postseason. The increased prospect of facing the best team in baseball hurt the Indians' chances to the tune of 5%. The Los Angeles Dodgers now find themselves outside looking in, their 6% World Series expectancy at its lowest point since being down 2-1 to the Washington Nationals in the NLDS. My simulator gives the Dodgers only a 14% chance of winning the next two games, a feat they will need to accomplish if they are to survive in the 2016 postseason. 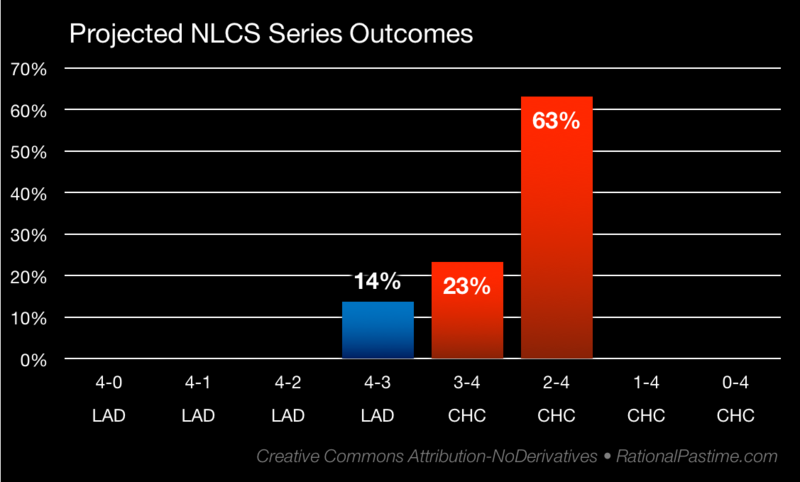 That same simulator expects the Cubs to finish off LA in the sixth game 63 times out of 100. Will the Cubs pull of their first NL Pennant in 71 years? Will the Dodgers put history off another day? What will their chances be in any case? Check back soon to find out.